Cycling Editors Say: 29ER Bikes give"…huge jump in increased traction while climbing...big jump in grip on loose corners...an ability to point the bike straight into whatever…"
We have sold tens of thousands of bikes. 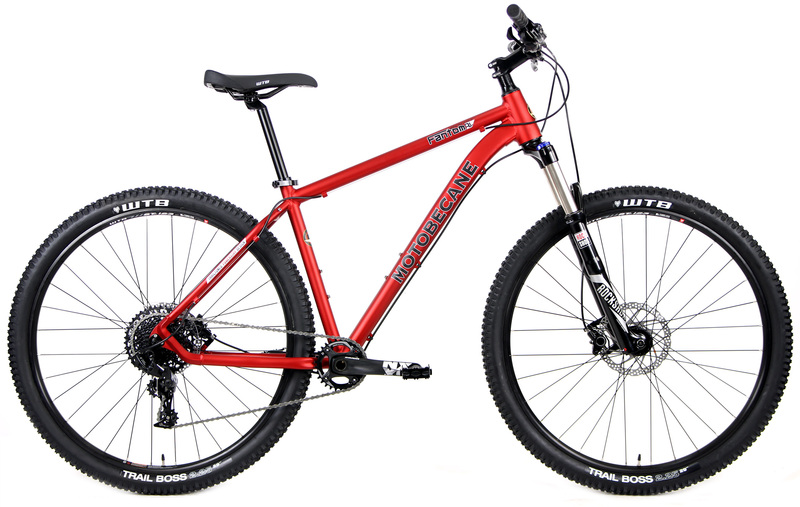 A high level of engineering and attention to detail is seen on all Motobecane Mountain bikes. 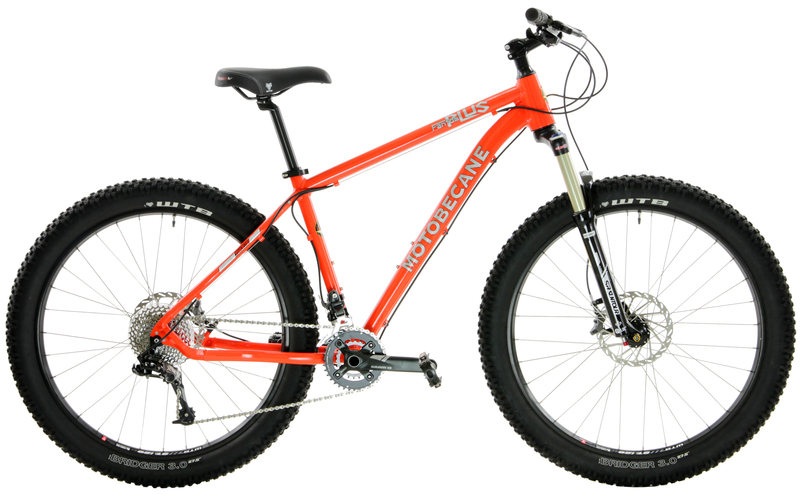 Happy customers send friends and family to buy these incredibly capable bicycles all the time. "...yesterday, two hours of cranking…simply put: This is a lot of bike for the money…quality of this bike is what one should expect from this level of bike, but the price we are paying is far less that we'd be paying at a bike store." "..got back from my first single track ride….WHAT A BLAST!..really fun to ride..rode pretty hard and it held together.. thats good!" 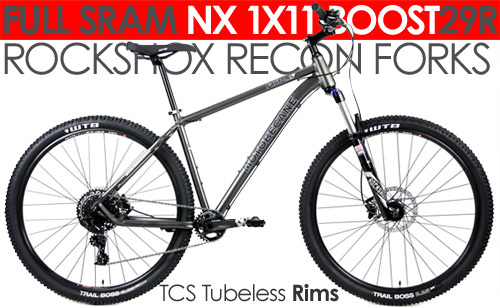 "..as nimble as my old 26" single-speed hardtail with an 80mm travel fork." "Bikes Direct is an excellent place to find an affordable bike if you cannot, or do not want to, pay top dollar for a big name bike. The fat bike I bought is taking the same beating my friends $2000 fat bike is taking and holding up." "...didn't disappoint…had a blast...I'm really happy with this bike! "First impressions? Super-impressed!! The bike came well-packaged…took it for a spin around the neighbourhood...amazing value and blows away anything else in its category." "…lot of complements on the bike, One guy even asked if he could sit on it and ride it, I was like sure. Then I told him the price and he was blown away..."
What is a BOOST Bike? Boost is a SRAM technology of using wider axles for optimized wheel and frame geometry. It allows the most optimum wheel strength, weight and tire clearance possible. 29ER Bikes! Ingeniously simple concept. Giant tires = more control in loose conditions. The 29ER bikes have a a lighter tire than a regular fat bike and roll fast but with MUCH more flotation, traction, cornering than normal 27.5. How are these 29er Boost Bikes being sold for this Great Price? Other similarly equipped Bikes cost over twice as much. This is a promotional price for Bikesdirect Early-Order customers ONLY. 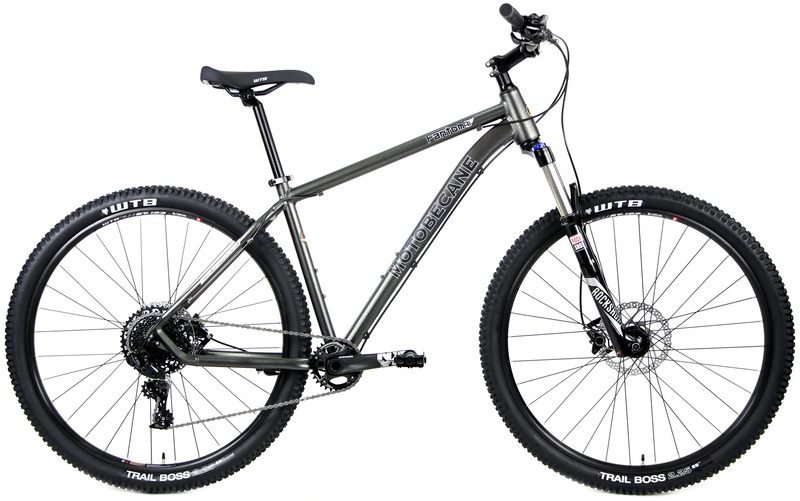 These Awesome 29ER Bikes are selling out rapidly and may be up to $200 more for any that are left instock later. At the current rate of sales, many sizes will be gone soon and may not restock for quite some time. *This is a general guide. Between sizes? Size down for lower handlebars, more straddle clearance, short arms/legs/torso. If you size up, you may touch when straddling. Size up for taller handlebars, long arms/legs/torso.